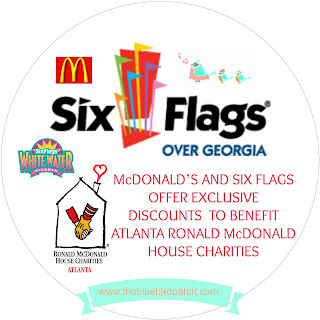 McDonald’s and Six Flags Over Georgia have teamed up this summer to benefit Atlanta Ronald McDonald House Charities (ARMHC). Discount coupons are available while supplies last at participating McDonald’s restaurants in the greater Atlanta area that offer up to $20 off of admission to Six Flags Over Georgia through October 27 and $10 off admission to Six Flags White Water through September 2. The coupons can be redeemed online at www.sixflags.com/overgeorgia or at any ticket window. A portion of the ticket sales go directly to Atlanta Ronald McDonald House Charities to benefit families of sick and injured children. “Six Flags is proud to make such a huge impact on the lives of families with children who are sick or injured,” says Emily Murray, Manager - Public Relations of Six Flags Over Georgia. Over the last 17 years, the partnership between Six Flags and McDonald’s has raised nearly $1 million to fund the operating costs of Ronald McDonald Houses across the southeast region, including Georgia, Alabama, Tennessee, and South Carolina. Six Flags Friends is a series of programs throughout the Six Flags family of parks that make a difference in communities by encouraging local involvement, supporting the mission of various non-profit organizations and bringing the thrill of Six Flags to children and families across North America. 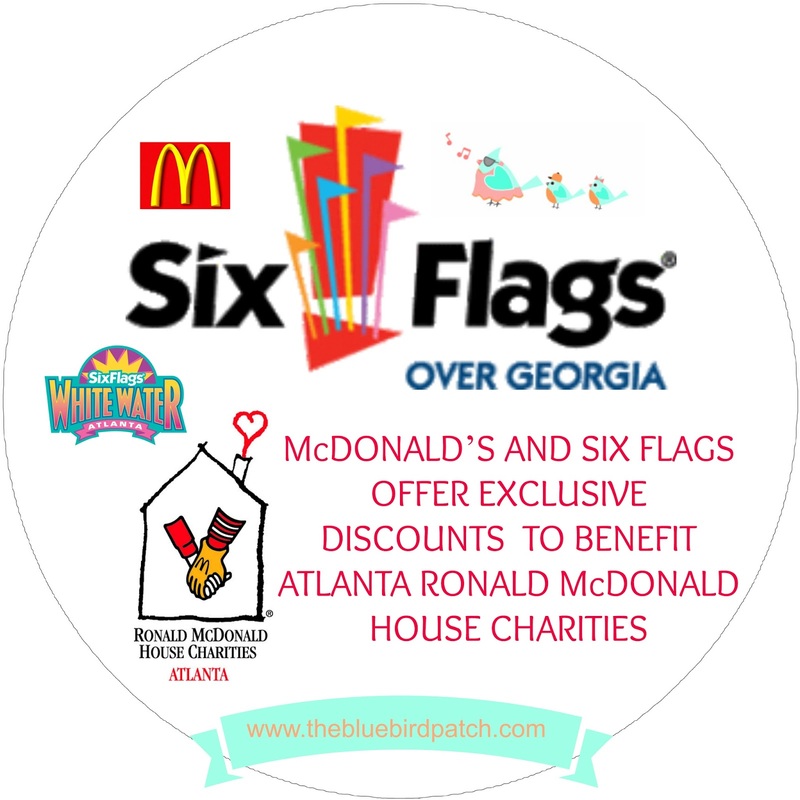 Six Flags Friends is a proud supporter of hundreds of organizations throughout our Six Flags communities including Ronald McDonald House Charities. About Atlanta Ronald McDonald House Charities: (ARMHC) is a non-profit 501 (c) (3) organization dedicated to serving the needs of children by providing temporary housing and support services to families of critically ill and injured children being treated at local hospitals. The two Atlanta Houses have provided a home away from home to more than 42,000 families since the first Atlanta House opened in 1979. 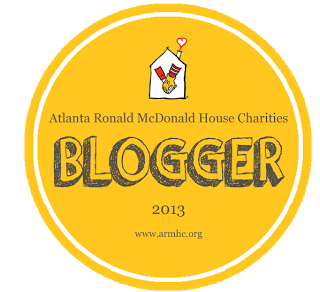 For more information about ARMHC, please read our post about our visit http://www.thebluebirdpatch.com/2013/07/atlanta-ronald-mcdonald-house-charities.html or visit www.armhc.org or call (404) 315-1133.